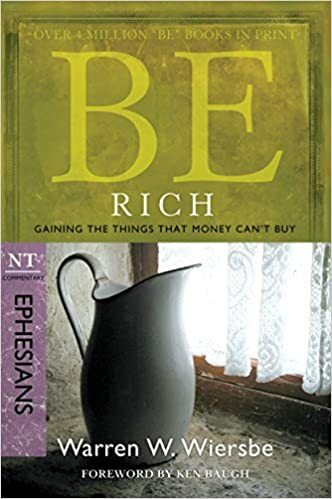 In a society where wealth is often the measurement of success, popular author and Bible teacher Dr. Warren W. Wiersbe unravels Ephesians to reveal the countercultural nature of the gospel. Through helpful illustrations and analysis, he opens our eyes to the riches that we already have in Christ—though we rarely take advantage of them. Not only has God given us the promise of an eternity in heaven, He has given us the reality of a relationship with Him right here on earth. Be encouraged in this good news and stop seeking the things of this world, for we already have the priceless gift of eternal life in Christ!